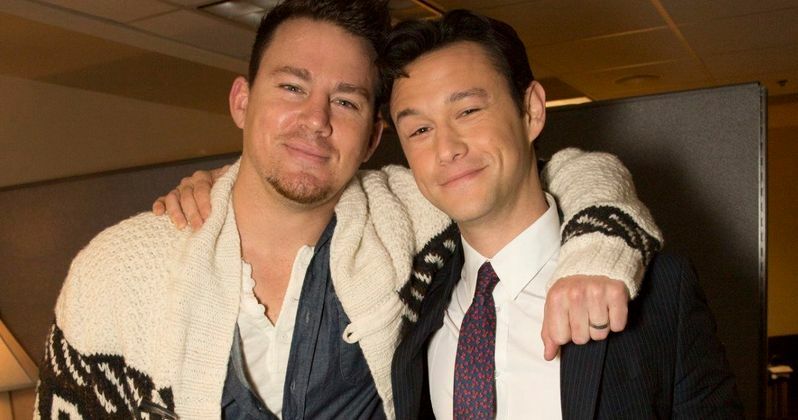 Universal Pictures has picked up an untitled musical comedy which has Channing Tatum and Joseph Gordon-Levitt attached to star. The Hollywood Reporter reveals that the project is described as an R-rated comedy centering on two pilots experiencing a misadventure. Universal picked up the project through a competitive bidding situation, but it isn't clear what other studios were vying for this Untitled Musical Comedy project. Marc Platt, who produced the hit musical Wicked, is producing alongside Adam Siegel through their Marc Platt Productions company. Joseph Gordon-Levitt is producing through his hitRECord Films company, alongside Channing Tatum, Reid Carolin and Peter Kiernan's company Free Association. Kirstin Lowe, Universal's senior vice-president of production, will oversee the project for the studio. Joseph Gordon-Levitt hatched the idea for this sequel with screenwriter Michael Bacall, who has previously worked with both stars. Michael Bacall co-wrote and starred in 2003's Manic alongside Joseph Gordon-Levitt, and the writer also worked with Channing Tatum on 21 Jump Street and 22 Jump Street. The project doesn't have a director attached at this time. This will be the third time that Channing Tatum and Joseph Gordon-Levitt have starred alongside each other. They first worked together in the 2005 drama Havoc, before reuniting in the 2008 military drama Stop Loss. They both showed off their singing and dancing skills together during the opening number of the 2013 Oscars. Aside from their Oscar performances, both stars are no strangers to song and dance. Channing Tatum had his breakout performance in 2006's Step Up, and he was also seen showcasing his moves in Magic Mike and Magic Mike XXL, which are both based on his actual experiences as a male stripper in Florida. He can also be seen this weekend in Hail, Caesar!, where he learned how to tap dance for his role as an actor in a 1950s Gene Kelly-style musical, where he also sang on camera for the first time. Joseph Gordon-Levitt has sung before in live performances on his hitRECord website, and he also had a critically-acclaimed routine in the 2009 comedy (500) Days of Summer. What do you think about these musically-inclined stars teaming up?